Among high school athletes, girls are at greater risk for overuse injuries than boys, according to a recent national study published in the Journal of Pediatrics (“Epidemiology of Overuse Injuries among High-School Athletes in the United States” – March 2015). In analyzing 3,000 male and female high school athletes participating in 20 different sports, researchers found that overuse injuries represented 7.7% of injuries overall, but rates among girls and boys differed significantly, with overuse injuries representing 13.3% of all injuries for girls compared to only 5.5% for boys. Girls and boys also differed in terms of when the injuries were likely to occur, with the proportion of overuse injuries decreasing in females from freshman to senior year, while it increased in males. 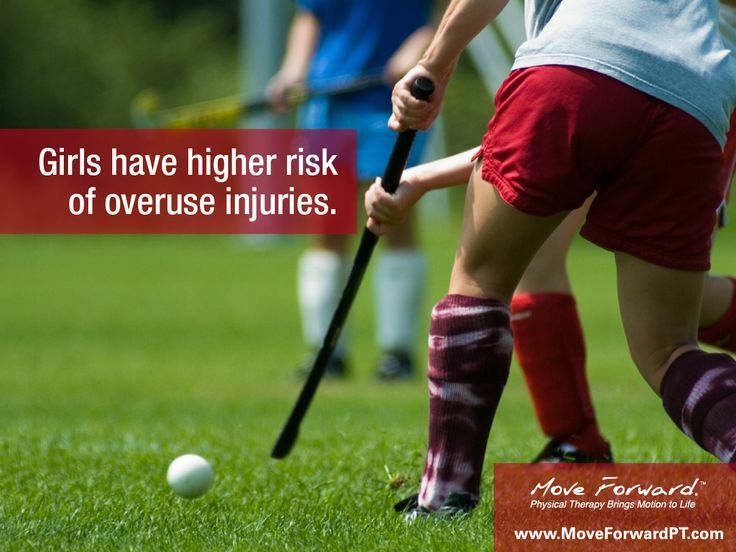 The highest overuse injury rates for girls were seen in track and field, field hockey, and lacrosse. "This finding may be solely due to differences between males and females or that these girls’ sports have larger teams with younger, skeletally immature girls who were not physically ready to handle the repetitive motion associated with these sports," the researchers summarized. "Athletes in these sports may benefit most from overuse injury assessment and prevention." In a video produced by Ohio State University, lead author Thomas Best, MD, also theorized that single-sport specialization could be a contributing factor. "Many of these youngsters are playing a single sport, and that may in fact be a major risk factor for these overuse injuries because their bodies are seeing the same repetitive blows with one sport," Best said.